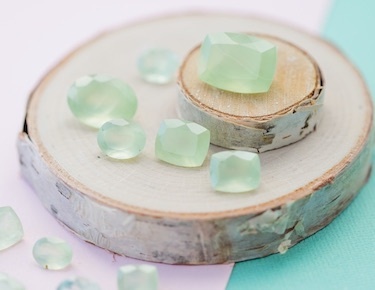 If blue is one of your favorite colors, you are in the right spot. 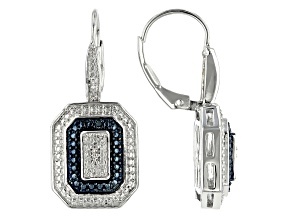 Shop dazzling blue diamond earrings from JTV, and enjoy unique styles at affordable prices. 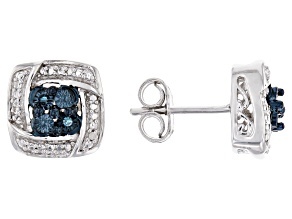 Choose from blue diamond studs, blue diamond dangle earrings and blue diamond hoops. 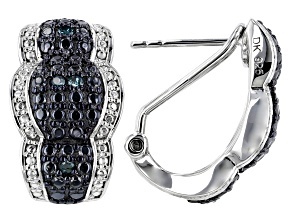 Stunning blue diamonds will catch the eye of every person in the room. 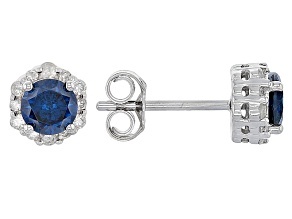 Explore blue diamond earrings at discounted prices today. As the color of the sea and sky, blue can help you achieve a beautiful, serene look. 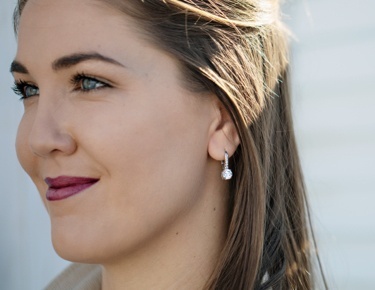 Accessorize with a pair of blue diamond earrings for girls' night or date night, because these earrings are perfect for both. 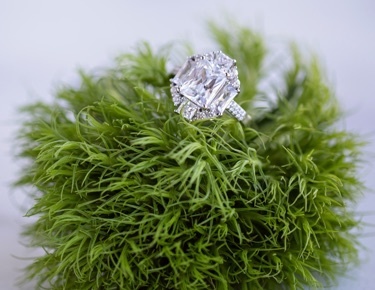 For formal occasions, a sparkly pair of diamond earrings will help you stand out. You can wear your hair in an updo to show off gorgeous, true blue hues. 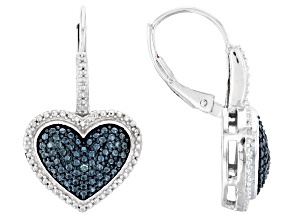 Enhance your look with blue diamond earrings. 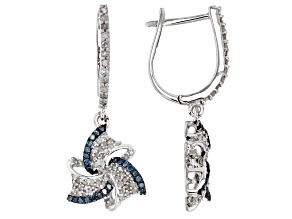 These earrings set in sterling silver and white gold are high in quality but low in price. 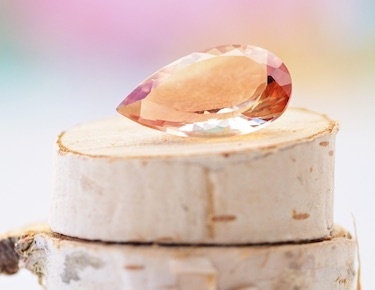 Buy a pair of diamond earrings for yourself or for someone else. 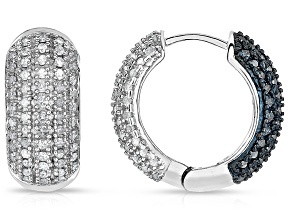 These earrings are memorable presents for birthdays, anniversaries and other special occasions. 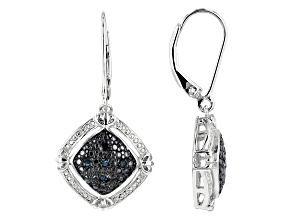 Give the gift of blue diamond earrings. 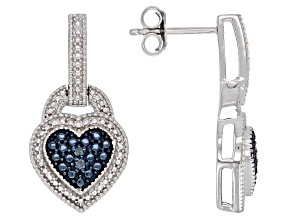 Blue diamond earrings look beautiful on their own or when matched with other blue diamond jewelry. 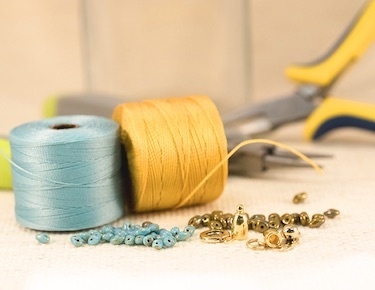 If you want to keep things simple, purchase a blue diamond jewelry set, and complete your ensemble in one fell swoop. 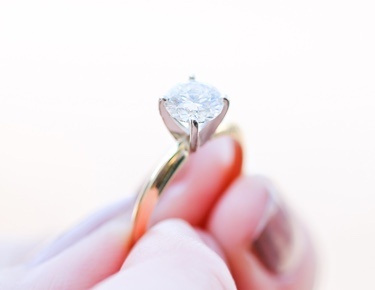 Can't get enough diamond jewelry? 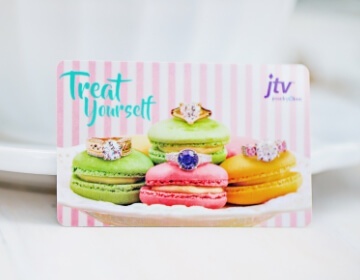 JTV offers other diamond jewelry, including diamond bracelets and diamond necklaces. 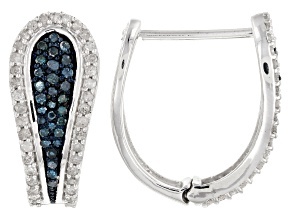 Find gorgeous blue hues you will cherish for the years to come, and discover this selection of blue diamond earrings.